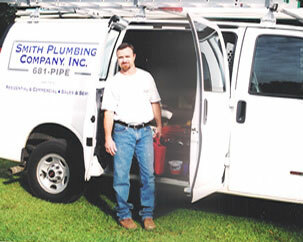 Smith Plumbing Company established in 2004, is owned and operated by Kenny Smith. As a second generation plumber and native of Tallahassee, he is proud to service the Tallahassee area and the plumbing industry. He worked several years for local plumbing companies until he received his State Certified Master Plumbing License and started SPC in 2004. Ten years later, we have developed into a rapidly growing company with a reputation for honesty and quality and technicians that are the best in the business! Our goal is to grow to meet the demands of our customers without giving up quality and good customer service.